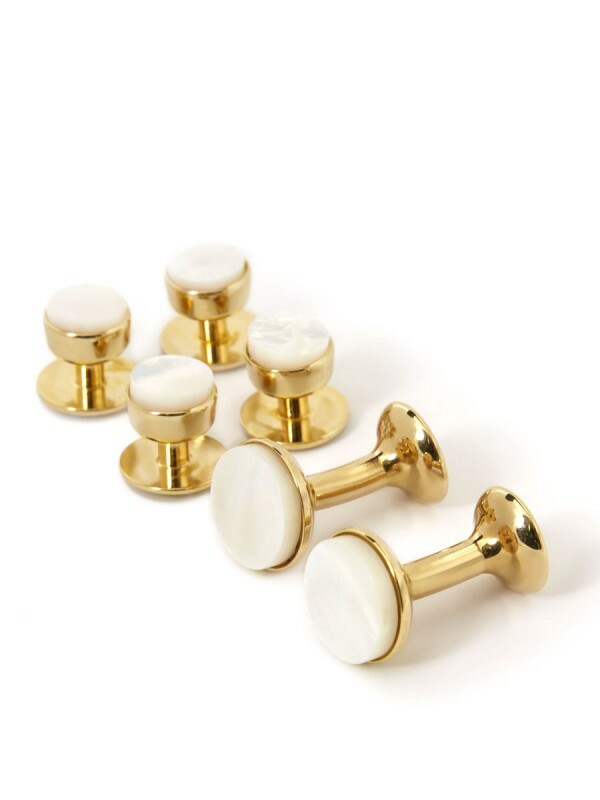 This timeless mother of pearl and sterling silver stud and cufflink set is a popular formal dress set. The perfect accompaniment to your Michael Andrews tuxedo. Hand crafted in England by Codis Maya.